Last year at the end of August I provided the Pllvm, a species that exist in multiple alternate universes, just to show that humanity weren’t the only ones that get that privilege. 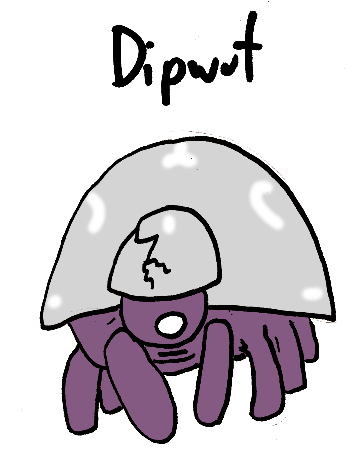 Well, this week I’m doing it again with another multiversal species. Living on various alternate worlds called Tefd, the Lehss are a race of six-legged, shelled creatures with a single large eye and two arm-like limbs with manipulating digits. On all these worlds they are a slow, ponderous species that devote a lot of their lives to philosophical thought experiments. Their society is loosely knit, they spend a lot of time alone, but close together in tunnels near the planet’s shores (the planet has few large continents, but many, many small islands). None of these alternate versions of the Lehss have developed any form of music. Yab Dag is a star mapper. Many of the Lehss are convinced that there is some way to divine important things in the motions of the stars, so Yab Dag has painstakingly created charts of their movements for years and carved the findings onto cave walls. 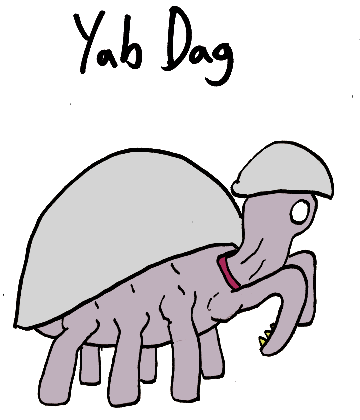 Though, in that time, Yab Dag has grown less certain that there is actually any meaning in the movement of the celestial bodies, it is still pleasant work that seems like it could be potentially useful someday, so Yab Dag enjoys it. Dipwut is a drug addict. On this version of Tefd, there grows a hallucinogenic plant that the Lehss have taken to using to go on “mind journeys”. Dipwut has gone on such journeys many times, preferring the space in imagination over the harsher real world. Sadly, the more Dipwut tries to take the drug, the greater their tolerance for it, and then the greater the need for more. If Dipwut is going to continue using this escape from reality, they may need to start doing underhanded things to get their hands on the drug. 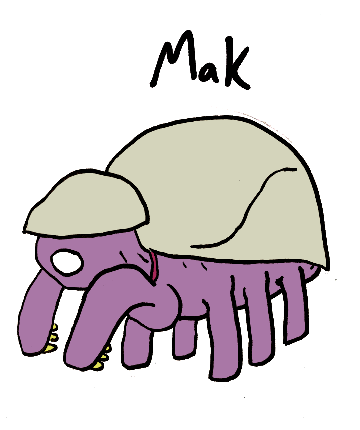 Mak is a designer of puzzles and riddles. This is a risky occupation, because if your riddles are too easy, nobody cares, and if they are too hard your customers may believe you have given them a puzzle without an answer, which is a great crime among the Lehss. Mak specializes in the thought experiments that are provided to the young to educate them, which is less risky because the adults will be able to confirm that there is a true answer, but Mak really desires to create complex riddles that would stump even experts. For now Mak keeps those riddles in mind, perhaps to be revealed one day when the time is right. Ebo Ebo is a wizard. 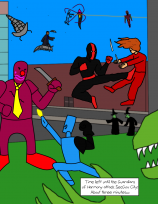 On this version of Tefd, dark magics have been unlocked by the Lehss, and they use them to enhance their lives, but sometimes at great personal risk. The use of magic on this world has attracted certain spirits from beyond that want to toy with the species that presumes it understands the magic. 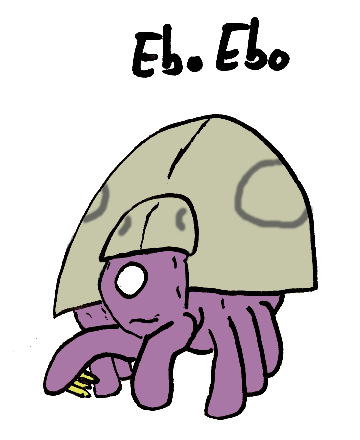 Ebo Ebo has been tempted and tricked by these spirits, but has learned from those mistakes and is now one of the foremost protectors against those beings. On this version of Tefd, predatory species that have been wiped out on other versions are still alive. 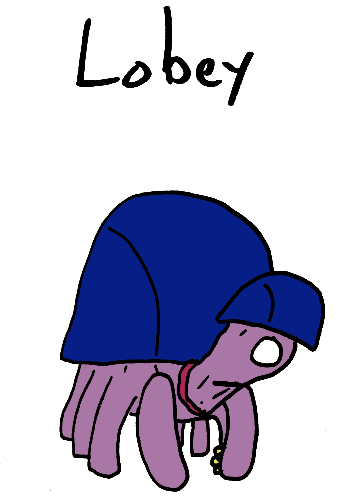 Lobey and the others here must try harder to stay alive, and consequently don’t have the time to engage in deep thought that the species desires. Traditionally the Lehss of this world have focused on defensive methods of protecting themselves, but Lobey is thinking more offensively, designing chemical weapons to fight back. But could this use of chemicals cause more damage to the world than it is worth?